Research on this Court Martial has proved a little frustrating. Over three hundred men were accused during the conflict of desertion, cowardice, laying down of arms and murder. Most, on finding of guilt were sentenced to death by shooting by firing squad. Presumably some men might have been found not guilty of the charges but we can assume that most were found guilty. Not all the sentences of death were carried out however with some commuted. The Final say was the Generals in overall charge, usually Douglas Haig, but it was rare to reprieve a man. However, there is no mention in any list of men executed for desertion of a Pte Dukes, or anything similar, allowing for spelling mistakes or misremembering etc. Frustratingly, Douglas doesn’t record his fate. In August 2006 the Ministry of Defence announced the pardon of all 306 men that were shot at dawn for cowardice or desertion. All had received proper burials and latterly many names added to war memorials. 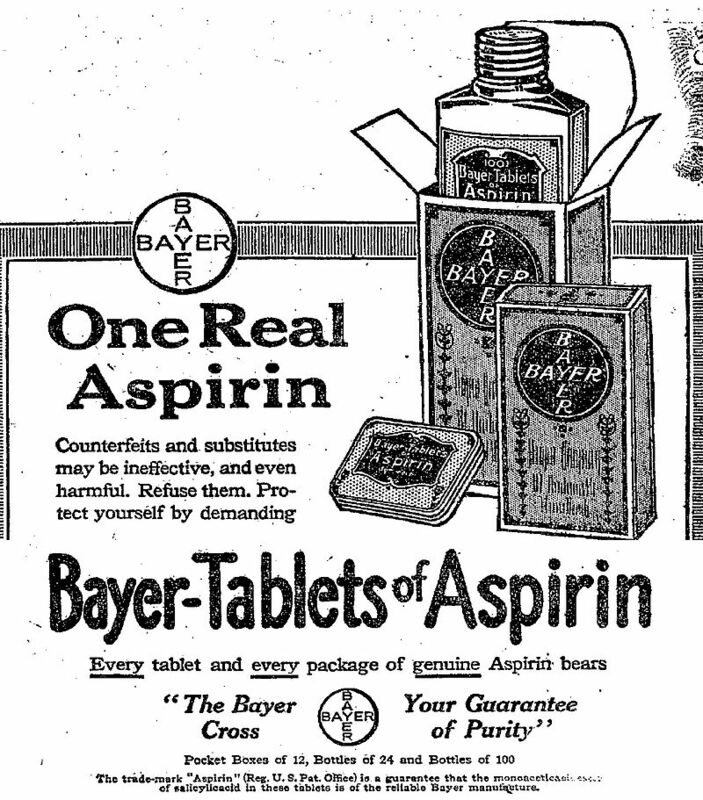 In 1917 there were no drugs that we rely on today to relieve the symptons of colds and flu. Influenza was in the following year to account for more deaths than the war itself. Although first discovered accidentally in 1877 Paracetamol was not used commonly in humans due to its many side effects. It wasn’t until 1949 that it was re-examined and then first manufactured in 1951. Only as late as 1959 was it first available as a common over the counter drug, without prescription. 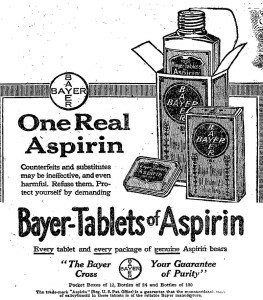 Although it was invented in the late 19th century, Aspirin was used in different ways to treat the symptoms of fever inducing ailments, it has a mixed and interesting history which is better told in these articles https://en.wikipedia.org/wiki/History_of_aspirin. Douglas doesn’t indicate if he actually used it himself during this period. “Next day I went round all the trenches and supports examining food supplies to see that they were not tainted by the gas. There was a lot of gas hanging about in the shell holes. 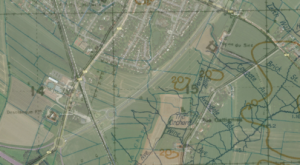 About six o’clock in the evening Battalion H.Q. was heavily shelled, and one dug-out was blown in. There were four men inside at the time, and they were lucky to escape with bruises and scratches. During the night one of our patrols from B. Company, consisting of 2 officers, and 19 other ranks was scuppered by a Hun ‘listening’ patrol inside the Bosche wire. Sgt. Black and Pte. 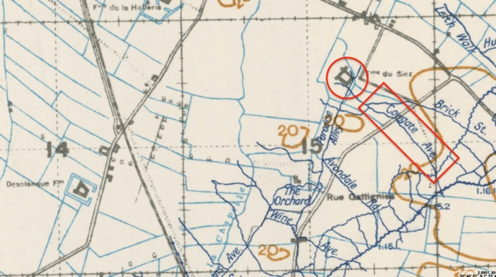 Davies were killed, and Lt. Palmer and 5 men wounded – two very badly. It was a rotten affair, and depressed us very much. Lt. Roberts did splendidly. He killed three Huns and was untouched himself. We were badly ‘straffed’ with gas shells later. Lance Sergeant Bill Black 16223 aged 23. Grave location II. E. 37. Buried in Erquinghem-Lys Churchyard extension. We invite any information on these men including anyone that might have photos. This was a ferocious attack to endure. If high explosive and shrapnel wasn’t enough to deal with, then have a hearty helping of gas with it to be going on with. The officer Lt. Wood for carrying out his courageous acts of rescue may have received some recognition for his act, but so far his identity is eluding detection. 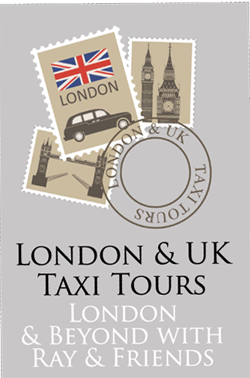 We would be grateful for any information which would be well received. “The Battalion relieved the 16th R.W.F. in the line on the evening of November 10th. It was a filthy night and the roads were in a ghastly mess. 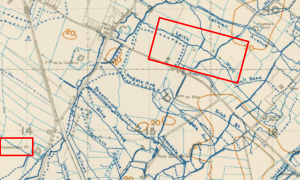 Next day, as usual, I made a tour of the trenches, but went up earlier in the day than usual setting out at 6.30 a.m. – safety first! I visited all the posts. The trenches were very wet and muddy, and I had great difficulty in getting to one of the posts. I got back to H.Q. about 9.30, and had breakfast. Afterwards I toured the Support Line, visiting all the Company Headquarters. The Huns sent over a lot of ‘pip-squeaks’ (small shells fired by field guns), and chased me through the ruins of the Ferme de Biez. I increased my speed to 10 m.p.h.! Whilst I was at the left company (C Company) H.Q. a big enemy aeroplane dropped six bombs in quick succession in Cowgate. He hadn’t meant to do so, but had to as our anti-aircraft shooting was too good for him! The weather over the last few days was a mixture of a murky fog and heavy rain. 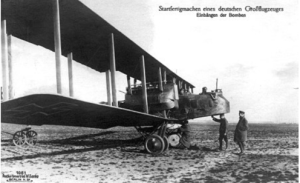 August 1917 had seen the introduction of the Gotha GV bombers, it was probably one of these that Douglas described as a “big enemy aeroplane”. 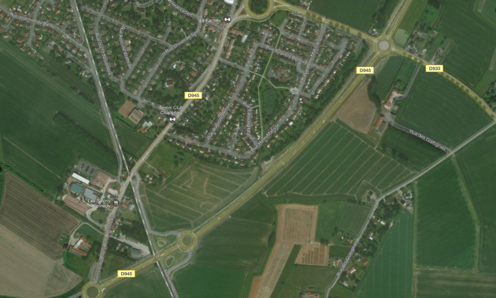 The misspelled farm “Ferme du Siez” which was described as a ruin must have been entirely destroyed as no trace of it exists today. After assuming command of the battalion, Colonel Leman (known as “Dickie”) set to work immediately. A raid on the German trenches was to take place conducted by the 115th with support from the 13th RWF. Remarkably Douglas somehow managed to preserve the battle orders for us to study one hundred years later. 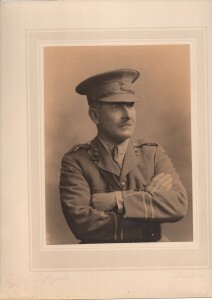 Colonel John Frederick “Dickie” Leman, remained in command of the 13th until the conclusion of the war and the disbandment of the battalion in May 1919. 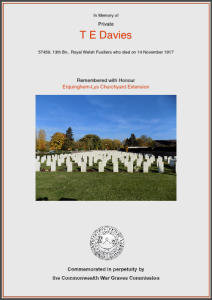 Having been recruited to the Worcestershire Regiment in Ireland in 1906, he was posted to France as a Lieutenant following the outbreak of war in the summer of 1914. Promoted to Captain and wounded in 1915 he recovered to continue with the Worcestershire Regiment. Then due to the high mortality rate and like many others notwithstanding personal ability, he rapidly progressed until given the command as a Lt. Colonel with the 13th RWF. He went on to serve in the Worcestershire Regiment until 1935 and died at home in Dorset in 1951 aged 64. 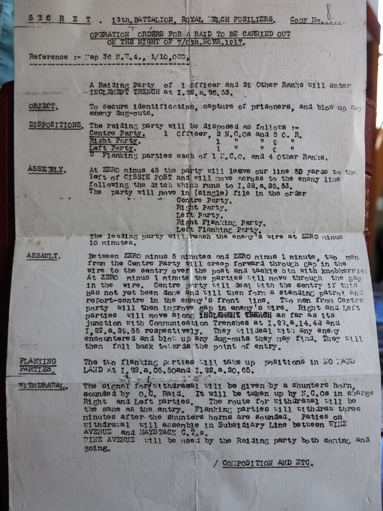 It is interesting to note that the men in the 13th RWF raiding party were carrying sticks and crowbars as well as the probable Mills Bombs. 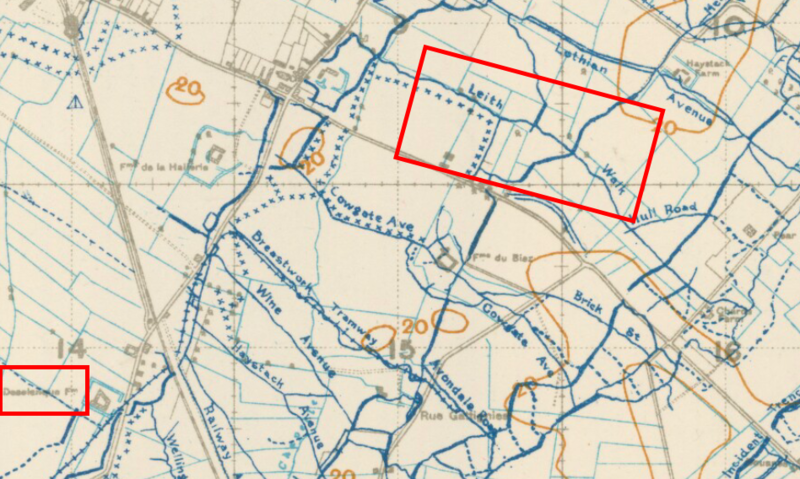 It must have come as something of a surprise to find the German front line trench was unoccupied, thereby defeating the object of taking prisoners. The normal German defensive arrangement was a front line backed up by two further defensive lines. Most of the main combatants in the war had taken measures to restrict the consumption of alcohol. Wages had rocketed with the glut of overtime working and a lot of that extra money was spent in the pubs. 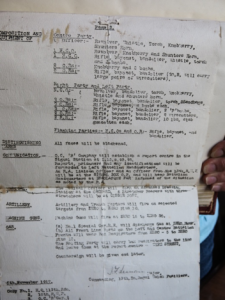 A shipyard owner complained that the bonus of double time for Sunday working resulted in many no shows on a Monday morning and stricter control was needed. At home David Lloyd George said “We are fighting Germany Austria and drink”. In 1915, in an effort to boost production for the British war effort, he had introduced the Central Control Board. Across the country strict controls were introduced. Breweries were under the control of the Government, the strength of beer reduced, taxes increased. Measures were also taken to encourage pub landlords to be more responsible including introducing facilities for women. By the end of the war in 1918 consumption of beer had been halved and continued to decline. By the 1930’s Britain had become a very sober place. It was now an offence to buy a drink for somebody other than the person paying for it. Newspapers back on the home front reported on cases of contravention of the new laws, such as a Southampton man Robert Smith who was fined for buying his wife a glass of wine. His wife was also found guilty of drinking it and fined a pound, as well as Dorothy Brown the barmaid who was fined five pounds for serving it, in contravention of the new regulations of the Central Control Board. Mr Smith had told the court that his wife had given him sixpence to pay for her drink, but it didn’t get him off. The situation on the Western Front was very different. A daily ration of rum was the order of the day. Who wouldn’t have needed it to try and stem the inevitable fear generated under fire in the trenches and preparing to go over the top? Officers had access to more than a daily tot of rum and some may have sought solace in drink. They would have suffered as equally as the men from fear, shell shock and the thoughts of committing so many to their death and injury, as a consequence of their orders. Lieutenant Colonel Robert Ormus Campbell had taken command of the 13th RWF (Service Battalion) on the 13th July 1916, succeeding Lt.Col. Oswald Swift Flower who had been killed the previous day fighting on the Somme. 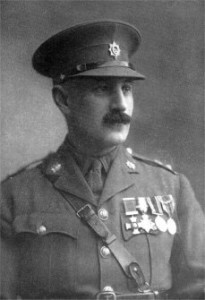 Colonel Campbell was a popular leader who only a few days beforehand described in a letter a successful raid against the German trenches. Douglas was very disappointed to hear that such a popular officer had been sacked and escorted home under close arrest for apparently speaking out against the drunkenness of fellow officers. He was relieved by Lt. Col. John Frederick Leman, who would remain in the post for the rest of the war. A “Pip-squeak” was a British nickname for a German rifle grenade. 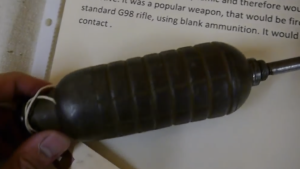 It was a small but deadly grenade designed to be fired from a rifle. 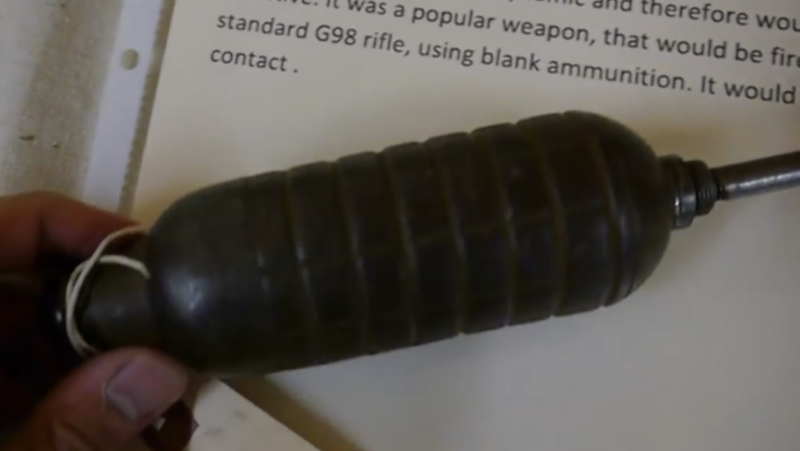 It was attached to a rod for firing which was inserted into the gun barrel. A dish shaped washer was slid along the rod between the barrel and the grenade and depending on which way round the dish was would determine whether it went a greater or lesser distance. It was then fired with a blank round as a projectile. Although considerably smaller it was thought to have the same destructive power as an 18 pound shell with equally fatal consequences. For Leith Walk see the trench map.